Better Homes & Gardens, Meredith’s flagship lifestyle, home and food brand, has grown a lot since it first premiered in 1922. And it’s continued to both maintain and flourish during the digital disruption and rapid technological changes that face the industry on almost a daily basis. 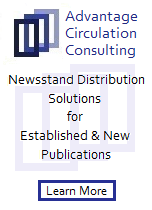 Today, it reaches nearly 40 million readers on a monthly basis and still maintains its 7.6 million in guaranteed circulation that it has had for years. Many would call that amazing in this day and age, but Editor in Chief, Stephen Orr and VP/Group Publisher, Stephen Bohlinger, would say it’s because the magazine has stayed true to its audience and true to its roots, yet evolved with the times, bringing in as many millennials and new readers as its sustained legacy audience. I spoke with the two Stephen’s recently and we talked about the solid direction of the brand. Stephen Orr is an editor in chief who believes in speaking to his vast readership as both a group and as individuals, realizing that until the magazine seems personal and meant for one single reader, it hasn’t connected the way it should, and BH&G has its voice down pat, reaching each and every reader as though that issue was meant for just them. His edits are strong and sure, just as Stephen Bohlinger knows how to sell his brand to the advertiser, putting the reader right at the table during the presentation, making it a win/win for the consumer and the ad client. So, sit back and relax and come into the world of Better Homes & Gardens, a magazine that’s been around for almost a century, yet has stayed as strong with relevance today as it was yesterday – the Mr. Magazine™ interview with Stephen Orr and Stephen Bohlinger, the Stephen-Squared team that continues to bring the brand success. On being the editor in chief of the largest non-membership magazine in the country (Stephen Orr): It’s a very exciting responsibility, which is two strange words to use together, because usually responsibility is not something you call exciting, but I do think of it as a big responsibility, but also very exciting. You’re speaking to such a huge audience, but you’re also speaking to individuals, so each individual is as important as the group. So, when we’re making the magazine, we really are thinking about different types of individuals that different stories will reach. And hoping to reach a broad market, but also speak very specifically to our readers. On being the group publisher of the largest non-membership magazine in the country (Stephen Bohlinger): When I got the job about a year ago, from Doug Olson, my new boss, he said sit down, I’m about to hand you the keys to the kingdom. And I was elated. Every morning before my feet hit the ground, I am just so invigorated and so excited to work with a juggernaut, a giant magazine called Better Homes & Gardens, and the people that I work for; the brand and the corporation. Meredith, obviously, is so well-poised to win as an organization. The Better Homes and Gardens brand is the largest, so when he tells you you’re going to be handed the keys to the kingdom, that’s certainly a lot of pressure, but I love it. On what the secret formula is to Better Homes & Gardens continued success in circulation after all of these years and an unpredictable marketplace (Stephen Orr): I think for me, editorially, and that includes the print magazine, digital, video, social, and everything that we’re doing, is we’re a moment of respite for our audience, because to them Better Homes and Gardens means that they can take a break from everything they’re doing with the kids, the demands of the household budget, or the scheduling of everything, or their jobs. All the things that stress people out. We are a break from that. We’re an inspirational break and creative break. On whether advertisers tell Stephen B. that he is out of his mind when he tells them that the magazine still has 7.6 million in circulation (Stephen Bohlinger): Yes, it’s a question that we get all of the time. We have our earnings call from Meredith coming up and one of the things that Steve Lacy, our chairman, always says to the board of directors and to our shareholders is that we’ve been putting 7.6 million copies of Better Homes and Gardens out today because there’s a need. Our consumers still want it. And what we have today is a contemporary breakout women’s lifestyle magazine, really. On how Stephen Orr is juggling between retaining his legacy audience and acquiring new readers, such as the millennial age group (Stephen Orr): I’d say that one of the big things is that the idea of the magazine, as far as being relevant, as Stephen was talking about, is that people of all ages want to know what’s cool. They want to know what’s trending; they may not want to do it, but they want to know. In one of our recent focus groups, we had a younger set and an older set of people. And both sides were very similar in their desire to keep up with what the trends are for home décor, home decorating, gardening, cooking and recipe trends. They want to keep up. Now, they may not do all the trends, but they want to know about them. And that resonates over all ages. On whether you can afford for any advertiser not to love the content of the magazine (Stephen Bohlinger): (Laughs) It’s all about the education process. Think about the median age of our magazine buyers today; our media planners across the country. They keep getting younger every year. The funny thing is, I now have my two kids in the industry, they’re 25 and 24, and they didn’t come up in the same way as young media planners did 20 years ago, which meant their magazines were coming in and it was their priority. They have this thing called mobile in their hands today, so it’s the education process. When we’re talking to them, no matter what account that they’re working on, it’s just explaining to them the significance and the relevance of a magazine brand, specifically the size and scope of Better Homes & Gardens. On whether he sells everything individually to advertisers, such as print separate, digital separate, video separate, or everything as a package (Stephen Bohlinger): You might recall the old brand wheel. The old brand wheel would have the magazine in the middle and then the spokes would be our special interest magazines, our video, our digital, our partnership with Wal-Mart; whatever it may have been. Now, the brand is in the middle – the brand being Better Homes & Gardens, and the magazine becomes a spoke. So, when we present the brand, we present it as an Omni-channel first and foremost, that’s the first slide we show. On how he decides what content is best for which platform (Stephen Orr): In the digital space; if people are going to a website, they’re looking for something specific. Generally speaking, they’re coming in looking for one thing that they want; a certain recipe, or a certain way to do some home improvement, or a DIY project. In the magazine, what we always talk about as editors is that we’re showing people things that we think they want before they know they want it. So, we’re giving them ideas and inspiration before they actually recognize it. It’s a surprise for them; it’s more of an a-ha. On what makes people come to Better Homes & gardens in this Internet age of infinite information (Stephen Orr): Trust, 100 percent. We’re trusted and they know us. We put our recipes through every kind of testing that you can do in our test kitchen in Des Moines. We’ve done all of the homework and we have the knowledge. On how important that trust factor is in advertisement in today’s world of fake news, fake ads, fake-just-about-anything (Stephen Bohlinger): It’s at the top of the list. They want to trust the editorial product; they want to trust the editor; that’s why the most important thing that I can do for my clients is to get my editor in chief, Stephen Orr, in front of them. Recently, we had a meeting out in the Midwest and Stephen was in town, and Crate & Barrel were also there, and we had a meeting with them and it wasn’t a sales pitch at all, really. It was really to talk about how Stephen curates his edits; and is a modern-day editor’s role different today than it was maybe even four or five years ago, and certainly 20 years ago. And it was an eye-opening presentation, and something that we’re going to consider taking to some other clients, because it’s not a sales pitch; it’s really about the trust of what Stephen has built with his editorial team across the country, and why this is a relevant product today. On whether there is any internal feeling of competition between all of the many successful Meredith brands (Stephen Orr): Editorially, absolutely not. I’ve never worked at a company where the editors are as closely-knit together. We have regular meetings and phone calls. If one of us has a question about what another person is doing for a specific ad, integration, or app, we just pick up the phone and talk. It’s a completely open-door policy here among the editors, and non-competitive. On whether there is any internal feeling of competition between all of the many successful Meredith brands (Stephen Bohlinger): And from the advertising perspective, I’ll mirror what Stephen said. I was 20 years at Time Inc. and we certainly got together and shared, but nothing like we do here at the Meredith Corporation. We have publishers meet weekly on Friday mornings at 8:00 a.m. and it’s full disclosure. On what he would have tattooed upon his brain that would be there forever and no one could ever forget about him (Stephen Bohlinger): For me it would be that I care about people. At the end of the day, the most important thing to me is respect and reputation. And it all begins and ends with who you surround yourself with. I’m the son of a coach; my father was a high school gym coach and I learned a lot about how he treated everyone with respect. And that’s something that has carried with me my entire life and I take it very personally. I have three children of my own and the most important thing that you can do and hold is your reputation, and that starts with how you treat people. On what he would have tattooed upon his brain that would be there forever and no one could ever forget about him (Stephen Orr): I would say good. I think there’s something about that word that gets overlooked because many lean more toward great. But there’s something about good that is very solid and lasting. And if that was something that I was known for I would be very happy. To be known as a good person and someone who did good work and worked with good people like Stephen Bohlinger and all of the editors I work with, I think that word gets overlooked a lot. On what someone would find him doing if they showed up unexpectedly one evening at his home (Stephen Orr): I would be cooking and gardening. On what someone would find him doing if they showed up unexpectedly one evening at his home (Stephen Bohlinger): I would be coaching, youth Lacrosse or helping out with the youth basketball team. Again, I’m the son of a coach and a lot of what I’ve learned as an athlete, I played Lacrosse in college, and both my boys played collegiately and I coached them. It’s the greatest joy. I consider my job here as a publisher as a coach. I refer to myself as that, and when you’re a coach, you get some great satisfaction. So, that’s what you would find me doing at home, coaching. On what keeps him up at night (Stephen Orr): Invariably, it’s making sure the people that work with me on my team have what they need to succeed in a time of shrinking resources, and it’s not always shrinking, sometimes it’s moving, probably more moving than shrinking. It’s the constantly shifting landscape of media and I just want to make sure that the people I work with have all of the resources that they can use to succeed and thrive. On what keeps him up at night (Stephen Bohlinger): For me, it’s one word: short-term-itis. I don’t even know if it’s a word, but I was at a conference and someone used it and it really stuck with me. And what I mean by short-term-itis is in the industry today we’re always closing the next issue and looking at what’s in front of us at the moment. And what keeps me up is as a publisher and a leader of this great brand, you have to have a 30-60-90, right? You have to think long-term and sometimes you’re going to take your hits and your lumps, but you can’t get caught up with short-term-itis. 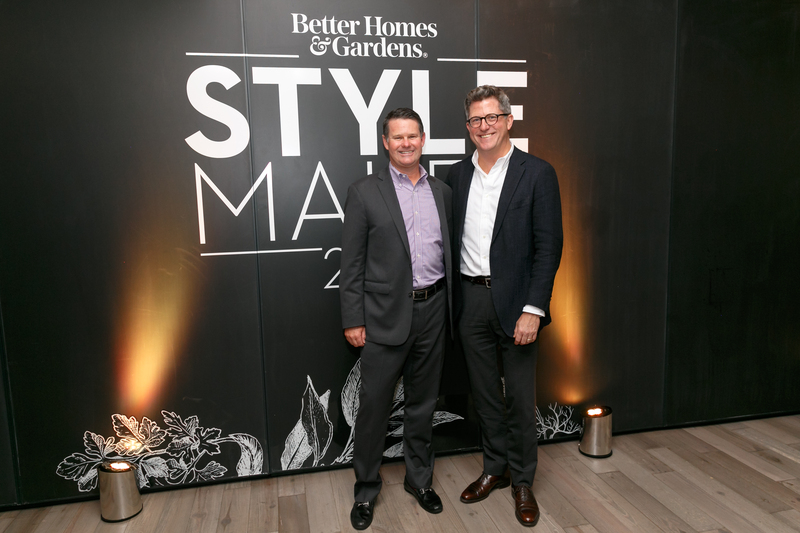 And now the lightly edited transcript of the Mr. Magazine™ interview with Stephen Bohlinger, VP/Group Publisher, & Stephen Orr, Editor in Chief, Better Homes & Gardens. Samir Husni: This question is for the both of you; how does it feel to be the editor and group publisher of the largest non-membership magazine in this country with 7.6 million guaranteed circulation? Stephen Orr: It’s a very exciting responsibility, which is two strange words to use together, because usually responsibility is not something you call exciting, but I do think of it as a big responsibility, but also very exciting. You’re speaking to such a huge audience, but you’re also speaking to individuals, so each individual is as important as the group. So, when we’re making the magazine, we really are thinking about different types of individuals that different stories will reach. And hoping to reach a broad market, but also speak very specifically to our readers. And I can tell from the correspondence that I get, either from emails, handwritten letters; a lot of people Tweeting comments to me or private messaging me on Instagram with compliments or criticisms; Facebook too; it’s every form of communication that you can think of where I hear from the readers. And every one of those readers shows one thing, which is that they think the magazine is just for them and that’s exciting and what we want to try and keep going. This personalization with the product for our readers, that even though it’s such a huge audience, every reader feels like it’s written for just them. Stephen Bohlinger: When I got the job about a year ago, from Doug Olson, my new boss, he said sit down, I’m about to hand you the keys to the kingdom. And I was elated. Every morning before my feet hit the ground, I am just so invigorated and so excited to work with a juggernaut, a giant magazine called Better Homes & Gardens, and the people that I work for; the brand and the corporation. Meredith, obviously, is so well-poised to win as an organization. The Better Homes & Gardens brand is the largest, so when he tells you you’re going to be handed the keys to the kingdom, that’s certainly a lot of pressure, but I love it. I’ve been in the industry since 1985 and you always want to be with the biggest. It’s like being with the New York Yankees, right? The Dallas Cowboys; the big organization. And to be here at this point in my career, with the knowledge and everything that I’ve learned over the years, it’s just the perfect timing for me. And it’s the perfect timing for me to be with Stephen Orr, who is the best and smartest editor that I’ve ever worked with. Samir Husni: So, having the two of you together, the Stephen-squared, with the exact same spelling, I might add (Laughs), seems to be working greatly. What’s the secret formula that has kept Better Homes & Gardens, after all of these years, at the same level of circulation with all of today’s changes in the marketplace? It’s still a big, mass-circulation, print magazine, in addition to all of the other digital venues that you have put into place. Stephen Orr: I think for me, editorially, and that includes the print magazine, digital, video, social, and everything that we’re doing, is we’re a moment of respite for our audience, because to them Better Homes & Gardens means that they can take a break from everything they’re doing with the kids, the demands of the household budget, or the scheduling of everything, or their jobs. All the things that stress people out. We are a break from that. We’re an inspirational break and creative break. And our audience will tell us that when they get the magazine, or they want to look through our social media, it’s a way for them to connect to their own creativity. And the print magazine, especially, when it shows up, is very special. Recently, we’ve been doing focus groups, and people have told me that they love being able to have that magazine. They will set it aside until they know they can get to it at some point during the week, because that’s going to be their time, maybe with a glass of wine, where no one is going to bother them. And they can cut out recipes or look at a DIY project that they want to do and dream about how things can look, so I think that’s our connection to the audience. And we haven’t lost that over the years. And that’s what the entire existence of the brand is about, making life better every day. In this day and age, when things can be upsetting on all fronts, Better Homes and Gardens is a haven for people. 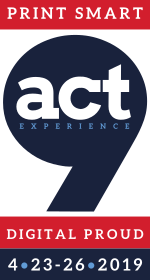 So, we just keep doing what we’ve been doing and I think the authenticity of that resonates with our audience. Samir Husni: Stephen, advertisers don’t tell you that you’re out of your mind when you tell them that you still have 7.6 million in circulation? Stephen Bohlinger: Yes, it’s a question that we get all of the time. 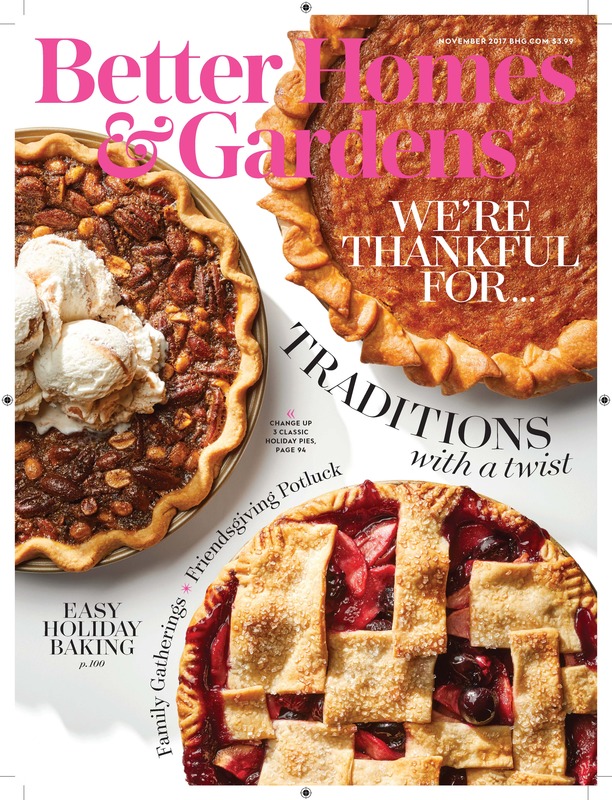 We have our earnings call from Meredith coming up and one of the things that Steve Lacy, our chairman, always says to the board of directors and to our shareholders is that we’ve been putting 7.6 million copies of Better Homes & Gardens out today because there’s a need. Our consumers still want it. And what we have today is a contemporary breakout women’s lifestyle magazine, really. And what Stephen Orr has done is he’s made it relevant for today’s Better Homes and Gardens reader. 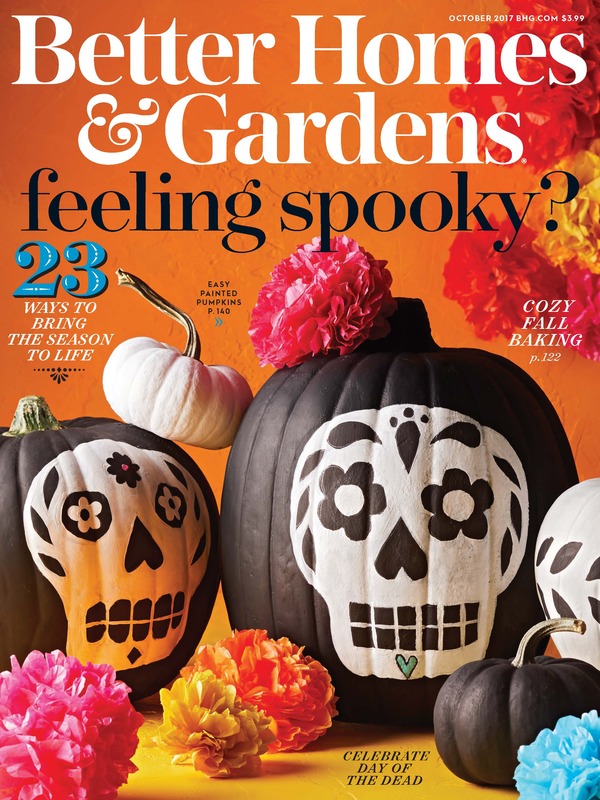 We have 7.7 million millennials who read this magazine, and it’s because Stephen is connecting with this new generation of Better Homes & Gardens readers. How is he reaching them? He’s reaching them via Instagram, social; he isn’t waiting for the snail mail to show up like we did 25 years ago; he is taking the brand in a direction that is going to be able to communicate with these millennials, and that is making this brand relevant today. And 7.6 million is still the audience because that’s what the demand is. So, when my advertisers ask me: 7.6 million, are you kidding? I break out my statement and I show them exactly how we’re reaching them. Newsstand isn’t what it used to be, of course, but we still have this magazine going into the homes of consumers across the country and they’re waiting for it and spending time with it. So, our advertisers know this and that’s why we had such a terrific last year, because they want the “reach” title. Samir Husni: You have 40 million readers per month, and as Stephen said, you have 7.7 million millennials and the rest are your traditional readers. How are you juggling between retaining your current audience and gaining the millennials who are not familiar with the magazine? Stephen Orr: I’d say that one of the big things is that the idea of the magazine, as far as being relevant, as Stephen was talking about, is that people of all ages want to know what’s cool. They want to know what’s trending; they may not want to do it, but they want to know. In one of our recent focus groups, we had a younger set and an older set of people. And both sides were very similar in their desire to keep up with what the trends are for home décor, home decorating, gardening, cooking and recipe trends. They want to keep up. Now, they may not do all the trends, but they want to know about them. And that resonates over all ages. They want to keep up with what’s happening, whether it’s a new color or a trend for wallpaper, houseplants, or certain ingredients you might use in a recipe that is new to your pantry. All of those things resonate with all age groups. And what I do is try to take all of the trends that I see and keep up with them in the same way through social media, and friends that I admire who have great taste, and I’m thinking of how I can translate that to our audience. And it seems to be resonating. If we alienate one group of people with something, other people love it. So, you kind of have to balance it where you know where you’re pushing it a little bit, and you recognize that some will love it and some won’t. But I find that our audience is very accepting for the most part, and recognize that even if it’s not something they want to do, they still want to know about it. People want to be current. Samir Husni: Stephen, from an advertiser’s point of view, you don’t have the same luxury that Stephen does with the editorial: if someone doesn’t love something, no big deal, they’ll find something they do love. With your advertisers, can you afford to have someone not love you? Stephen Bohlinger: (Laughs) It’s all about the education process. Think about the median age of our magazine buyers today; our media planners across the country. They keep getting younger every year. The funny thing is, I now have my two kids in the industry, they’re 25 and 24, and they didn’t come up in the same way as young media planners did 20 years ago, which meant their magazines were coming in and it was their priority. They have this thing called mobile in their hands today, so it’s the education process. When we’re talking to them, no matter what account that they’re working on, it’s just explaining to them the significance and the relevance of a magazine brand, specifically the size and scope of Better Homes and Gardens. So, you really need to slow it down a little bit. And you need to get in there and educate this young team of new media planners that are coming up, and why print. Print in its Omni-channel experience, the way Better Homes & Gardens is presented, is so very important to the ROI of their client’s business. Whether they’re targeting 25-34, 25-54, or 55+, we’re a big brand and no matter how you slice it, we can do runs against your business spec and show why we’re efficient against your business. Advertisers today are looking for efficiencies and they’re looking for efficiencies with ROI’s. And Better Homes and Gardens provides that. We’re the best and the most efficient, and we’re not compromising our product to get you there. And that’s what Stephen and I do; we meet and talk on a weekly basis. What I love about Stephen is he has two residences, one here on the East Coast, and one in Des Moines, so he’s back and forth. And when he’s in New York, we meet face-to-face and if he’s in Des Moines, we’re on the phone. He becomes to me like my publishing director. He’s a student of the industry; he’s not just an editor. He’s a modern-day editor who understands the ebbs and flows and the unique asks of advertisers today, and we talk openly about that regularly. And about how best we can work with them, so that they win and our consumers win. Samir Husni: When you and your team are selling the magazine, are you selling it as an Omni-channel or are you selling each format separate, such as print, digital, video, etc.? Stephen Bohlinger: You might recall the old brand wheel. The old brand wheel would have the magazine in the middle and then the spokes would be our special interest magazines, our video, our digital, our partnership with Wal-Mart; whatever it may have been. Now, the brand is in the middle – the brand being Better Homes and Gardens, and the magazine becomes a spoke. So, when we present the brand, we present it as an Omni-channel first and foremost, that’s the first slide we show. Then it depends on what the need of the advertiser is. 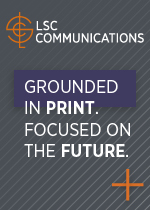 Sometimes the advertisers that we’re calling on are very specific, such as just print buyers. But we always present the brand as an Omni-channel out of the gate, and we put the consumer, our client, in the middle, whatever their need is, and then everyone decides. If they want just certain things, we can talk to them about that too. We really let them have it the way they want it. Stephen Orr: And I’d also add to that about the Omni-channel, multiplatform strategy; we’ve been hearing from readers that they’re on every platform that they want to be on. They’re very savvy. They go where they want to get the information the way they want to find it. If they want to find a Butternut squash recipe, they Google it or search for it on bhg.com. If they want to see things in the print magazine, because many of them will say, even millennials, that they like a paper product on certain points because it’s easier to show their husband or their partner an idea, rather than having to find it on their phone. They can just dog-ear the page and then discuss whatever it is with them. So, they’re very savvy about how they use every platform and we as a brand need to be wherever they want and need us to be. Samir Husni: How do you decide what content is best for which platform? Stephen Orr: You could say that one topic could be expressed differently and what’s the reader’s desire on how they want to receive that information? So, let’s say, in the digital space; if people are going to a website, they’re looking for something specific. Generally speaking, they’re coming in looking for one thing that they want; a certain recipe, or a certain way to do some home improvement, or a DIY project. In the magazine, what we always talk about as editors is that we’re showing people things that we think they want before they know they want it. So, we’re giving them ideas and inspiration before they actually recognize it. It’s a surprise for them; it’s more of an a-ha. It’s less likely, unless they’re spending a lot of time working their way through the website, that they’re going to have all of those a-ha moments. So, two ways we service to them in ways they don’t know they want yet is through the print magazine and social media. People look at their Instagram, and it’s served to them much like the print magazine is; it’s things we think they’ll like, and they either like or they don’t, right? They either hit the red heart or they don’t hit the red heart. Also on Pinterest; if someone is looking for inspiration for a bathroom remodel, they’re looking for something specific. They may also go into their Pinterest account just to look at beautiful images that are served to them in their account. But generally speaking, a lot of people are looking for something specific there. So, we’re there however they like to receive information. As a journalist, one of the most exciting parts is to give people what they want before they know they want it. That’s very exciting and the trend part of what we’re trying to do. Samir Husni: In this day and age, where people are bombarded by information and the Web is available at the touch of your fingertips; what makes people come to Better Homes and Gardens? Stephen Orr: Trust, 100 percent. We’re trusted and they know us. We put our recipes through every kind of testing that you can do in our test kitchen in Des Moines. We’ve done all of the homework and we have the knowledge. When I go looking for a recipe, a new something that I want to make for Thanksgiving dinner maybe, I have to really compare what the sources are. And as you know from news particularly, what’s given to you on Facebook and through different social media, such as Twitter; you really have to look and see where it’s coming from. And now more than ever, an authentic sense of trust with a brand is more valuable than anything. So, in many ways that’s what we’re giving people is trust, because if it just came from some random spot, it may not work out. But our stuff works and that’s why people keep coming back for all these many decades. Samir Husni: And how important is that trust factor in advertising in today’s fake ads, fake information, fake you name it? Stephen Bohlinger: It’s at the top of the list. They want to trust the editorial product; they want to trust the editor; that’s why the most important thing that I can do for my clients is to get my editor in chief, Stephen Orr, in front of them. Recently, we had a meeting out in the Midwest and Stephen was in town, and Crate & Barrel were also there, and we had a meeting with them and it wasn’t a sales pitch at all, really. It was really to talk about how Stephen curates his edits; and is a modern-day editor’s role different today than it was maybe even four or five years ago, and certainly 20 years ago. And it was an eye-opening presentation, and something that we’re going to consider taking to some other clients, because it’s not a sales pitch; it’s really about the trust of what Stephen has built with his editorial team across the country, and why this is a relevant product today. Where he’s getting his information through social and how he’s finding new ways to inspire and invigorate these readers, which has just been tremendous. And that’s all about trust. Samir Husni: Meredith is known for reaching more women than any other company; you have the corner on the women’s market in this country, in terms of media brands. Do you ever feel any internal competition? There’s Martha, Rachael, Allrecipes, Chip and Joanna Gaines; is there any feeling of internal competition among the many successful brands? Stephen Orr: Editorially, absolutely not. I’ve never worked at a company where the editors are as closely-knit together. We have regular meetings and phone calls. If one of us has a question about what another person is doing for a specific ad, integration, or app, we just pick up the phone and talk. It’s a completely open-door policy here among the editors, and non-competitive. Just to make our portfolio as productive and diverse as possible, I share my cover ideas for as many months out as I can with other titles, so that we can make sure we’re not duplicating cover ideas, because especially around the holidays, you might get the same turkey or Christmas tree idea, and we want to show diversity among our cover images, so we share those images to make sure we’re not working on the same idea. Sometimes we make a mistake, and double up, but we try not to as much as we can. And that kind of sharing I’ve never experienced at any other publishing company. Stephen Bohlinger: And from the advertising perspective, I’ll mirror what Stephen said. I was 20 years at Tine Inc. and we certainly got together and shared, but nothing like we do here at the Meredith Corporation. We have publishers meet weekly on Friday mornings at 8:00 a.m. and it’s full disclosure. We’re sharing with one another, there’s a great respect for each other, and we don’t let it get in each other’s way. At the end of the day, we want the Meredith Corporation to win and that’s at the forefront. When Meredith wins, we all win. Obviously, we have our own individual brands, but we don’t ever feel the internal competition like you might at other publishing houses. Samir Husni: Stephen, do you feel like a Midwesterner now? Have you adjusted to the move? Stephen Orr: I feel like I have the best of both worlds. And many New Yorkers are from somewhere else; I consider myself a New Yorker, but I was born and raised in West Texas and left right after college and moved to New York City. So, I’ve lived most of my life in New York City, but now I’m two and a half years in Des Moines, and I think as a magazine editor, what really works for me is that I can be in New York once every six weeks, and I can soak up as many of those trends and fresh ideas that you get on the streets in New York. Just the way people present themselves; all of the diversity that you see; all the ideas you can pick up from an art museum or a new store or a new restaurant. All of those things help me come back and talk to my editors, and we have New York editors as well, of course, for that reason. And then when I’m in Des Moines, what’s great is that I’m in the middle of the country, and Iowa has always been symbolic of the heart and soul of middle America, it’s a bellwether state on so many different points, and it’s great to be able to connect with people who live in the Midwest and that way I can understand our reader, many of whom do not live in NYC, obviously. So, I have the best of both possible worlds. I love it and the house I have in Des Moines is my favorite house that I’ve ever lived in. And I love my garden. It’s been great all around. Stephen Bohlinger: For me it would be that I care about people. At the end of the day, the most important thing to me is respect and reputation. And it all begins and ends with who you surround yourself with. I’m the son of a coach; my father was a high school gym coach and I learned a lot about how he treated everyone with respect. And that’s something that has carried with me my entire life and I take it very personally. I have three children of my own and the most important thing that you can do and hold is your reputation, and that starts with how you treat people. I’ve been very fortunate to be in the industry for a long time and I’ve been a publisher since 2004, which the lifespan of a publisher if you Google it, is not really as long as I’ve been happy to enjoy. And I’ve been able to take with me some of the best people in the industry because of the respect that we have for one another. Stephen Orr: I would say good. I think there’s something about that word that gets overlooked because many lean more toward great. But there’s something about good that is very solid and lasting. And if that was something that I was known for I would be very happy. To be known as a good person and someone who did good work and worked with good people like Stephen Bohlinger and all of the editors I work with, I think that word gets overlooked a lot. Stephen Orr: I would be cooking and gardening. Stephen Bohlinger: I would be coaching, youth Lacrosse or helping out with the youth basketball team. Again, I’m the son of a coach and a lot of what I’ve learned as an athlete, I played Lacrosse in college, and both my boys played collegiately and I coached them. It’s the greatest joy. I consider my job here as a publisher as a coach. I refer to myself as that, and when you’re a coach, you get some great satisfaction. So, that’s what you would find me doing at home, coaching. Stephen Orr: Invariably, it’s making sure the people that work with me on my team have what they need to succeed in a time of shrinking resources, and it’s not always shrinking, sometimes it’s moving, probably more moving than shrinking. It’s the constantly shifting landscape of media and I just want to make sure that the people I work with have all of the resources that they can use to succeed and thrive. Stephen Bohlinger: For me, it’s one word: short-term-itis. I don’t even know if it’s a word, but I was at a conference and someone used it and it really stuck with me. And what I mean by short-term-itis is in the industry today we’re always closing the next issue and looking at what’s in front of us at the moment. And what keeps me up is as a publisher and a leader of this great brand, you have to have a 30-60-90, right? You have to think long-term and sometimes you’re going to take your hits and your lumps, but you can’t get caught up with short-term-itis. That keeps me up a little bit, and I have to keep reminding myself that it’s a marathon, not a sprint. We’re going to be around for a long, long time in print and the brand, Better Homes & Gardens, will be around for another 100 years. And you can’t think short-term-itis.